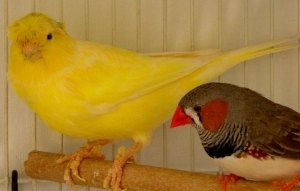 Your extra small pet bird needs a certain type of canary or finch cage. There is no one-size-fits-all when it comes to your bird’s cage. When shopping for a canary or finch cage, there are a lot of things you need to take into consideration. This includes and is not limited to: the cage size and shape, material, door type, cage bottom, and for the sake of your wallet, the price. For your own reference, and so you will know that the canary and finch cage we recommend really is the best for your bird, we have outlined the most important cage features you need to take into consideration when shopping for a bird cage on your own. The table below shows the recommended cage size and bar spacing depending on the size of your pet bird. 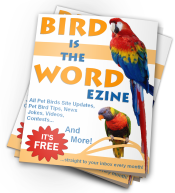 The highlighted row contains the recommended specifications for extra small pet birds. So, while you’re looking, keep in mind that these cage sizes are the absolute minimums and bigger is always better (just make sure the bar spacing is right as well). Epoxy Coated Finish, Cage Size: 18Length x 14Depth x27Height, Bar Spacing: 3/8. One Stand, Stand Size: 18.5Length x 14.5Depth x 28Height, 4 Wheels. Epoxy Coated Finish. Cage Size: 18″Length x 14″Depth x 42″Heigth. Bar Spacing: 3/8″. Door Pin. One Large Swing Out Door (9.25″Length x 12″Heigth) and Two Small Lift Up Doors (4.25″Length x 4.5″Heigth). 4 Feeder Cups with Feeder Doors (3.25″Length x 4.5″Height). 4 Perches (0.5″ Diameter). Removable Bottom Metal Grate & Pull Out Plastic Tray. This is a huge cage at a great price. There is plenty of room for more than one Finch or Canary. Six Cups, 6 Feeder Doors(3.25″x5.5″), 4 Perches. Slide Out Bottom Tray. Epoxy Coated Finish. Color: Black. Heavy Duty Caster. “Have had this cage for about 6 months now. Had no problem putting it together, everything fit tight and secure. Great size for a budgie, plus we can still move the cage around the house easily (to take him outdoors or to another room). It is quick and easy to clean. The covers that fit over the top of the food and water dish keep them clean as well. Wish it was more of a natural colour, other than the white, but other than that I love the cage! “ – Lynn G.
Stand Size: 18.5Length x 14.5Width x 28Heigth, Total Height With Cage & Stand: 46. 4 Wheels. Includes 3 solid wood perches, 4 plastic double cups, pull-out bottom grille, pull-out bottom tray, bottom storage shelf. “First thing, this cage is not really black, or wrought iron, as it is described on the box. It looks more like an antiqued, hammered pewter finish. Black can be viewed as a harsh color for a cage, but this is truly an attractive looking bird cage. The pictures just do not do it justice at all.